Lissette Olivares is a transmedia storyteller and the founder of Sin Kabeza Productions (Headless Productions). She is pursuing a doctoral degree in the History of Consciousness Department at UCSC, and is a graduate of the Whitney Museum Independent Study Program in Critical Studies, Peking University, and Vassar College. She has received the Fulbright, Andrew Mellon, Jacob K. Javits, Jane Dealy Wirsig, McGuire, Hemispheric Institute, and NYU Provost Fellowship for Academic Diversity. 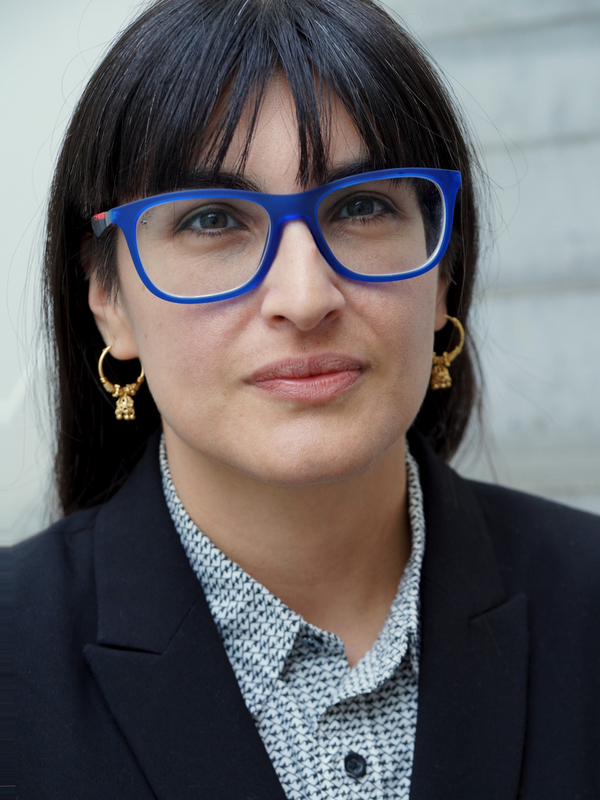 Her interdisciplinary art and research has recently been supported by dOCUMENTA (13), nGbK NanoEthics, A Blade of Grass Foundation, Meinblau Project Room, Les Rencontres Internationales, DRIK Magazine, DONAUFESTIVAL, Haus der Kulturen der Welt, Terreform ONE, Yinchuan Biennale Conference, amongst others. In the fall of 2016, she will be presenting SKP’s posthumanist architecture at the nGbK’s exhibition Animal Lovers. The research undertaken at the ICI Berlin will explore the agential possibilities of decolonial thinking, specifically in relation to the subjectivities made possible by indigenous notions of ‘personhood’, to be contrasted to the Euro-American ‘human’. Case studies will turn to contemporary environmental activism that has used ‘personhood’ to legally protect entities that are usually rendered non human in the traditional purview of the law, such as animals, land, and bodies of water. Disenchantment in the (so called) First World grapples with past and current debates about the distinctions between First and Third World positions. Eschewing the totalizing discourses affiliated with these terms, and deviating from the pejorative associations they have historically aroused, “First World” and “Third World” are proposed as necessarily problematic categories that highlight global economic interdependence as well as geopolitical relationships and processes. This curatorial project draws upon the tensions that are exacerbated by globalization and the unequal distribution of resources around the world. Allowing diverse artists to translate their perspectives on current geopolitical structures through varied mediums, this exhibitions asks: How is “First World” hegemonic privilege reaffirmed, demystified, and problematized through artists’ works? The works selected for this exhibition will rely on the shared codes and perceptions these artists have taken from their experiences and impacts in the (so called) First World.